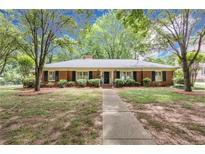 Below you can view all the homes for sale in the Deering Oaks subdivision located in Charlotte North Carolina. Listings in Deering Oaks are updated daily from data we receive from the Charlotte multiple listing service. To learn more about any of these homes or to receive custom notifications when a new property is listed for sale in Deering Oaks, give us a call at 704 604 8836. This home is a true show piece in a high demand location convenient to all SP has to offer. MLS#3490090. Premiere Realty LLC. Roof new approx 5 years. Showings start February 10th. MLS#3472461. Dickens Mitchener & Associates Inc.